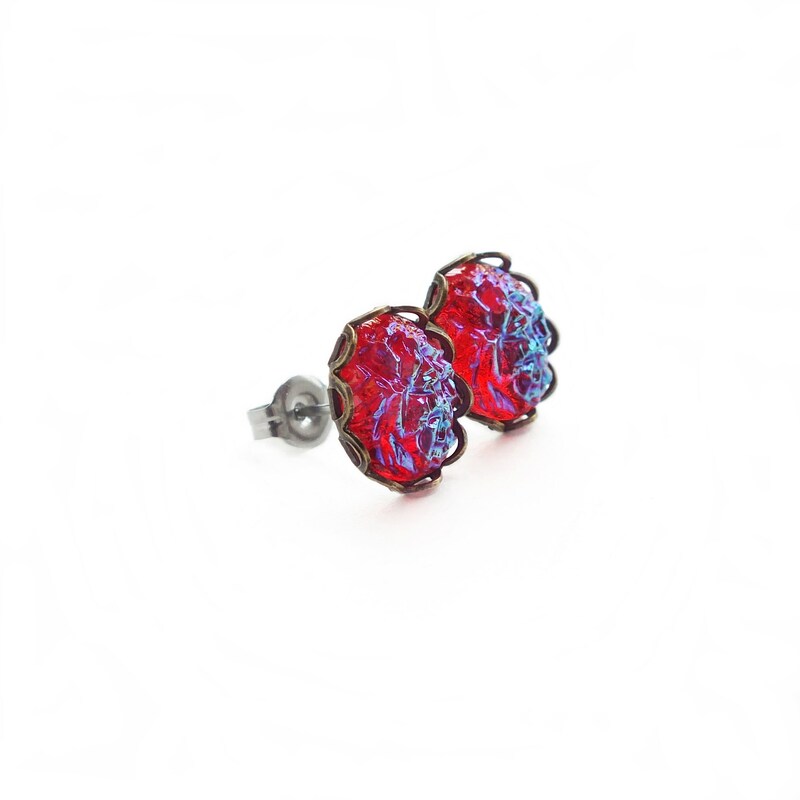 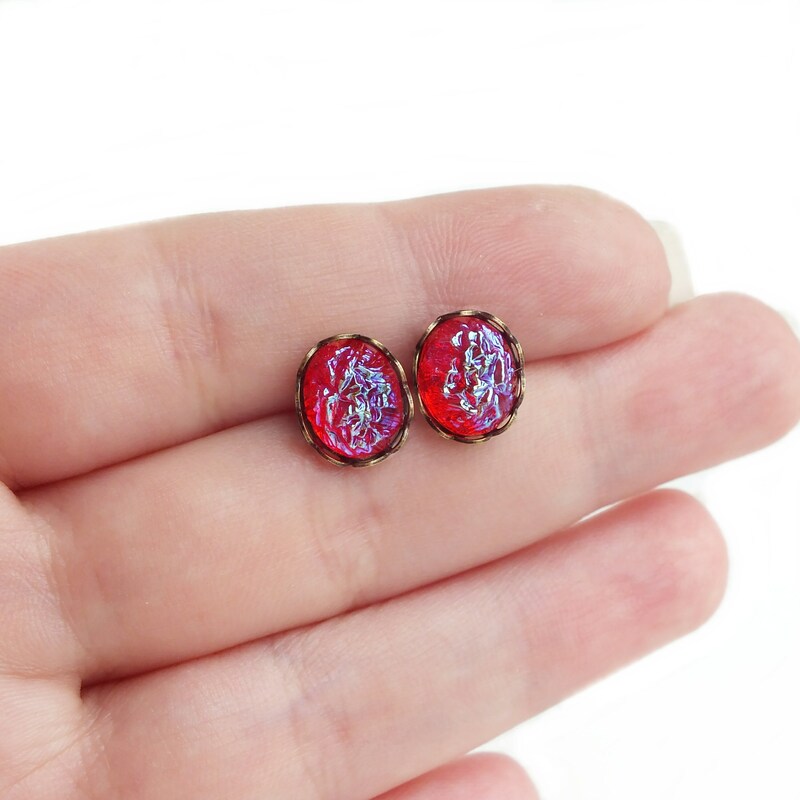 Small handmade iridescent red studs with vintage ruby red glass druzy crystals. 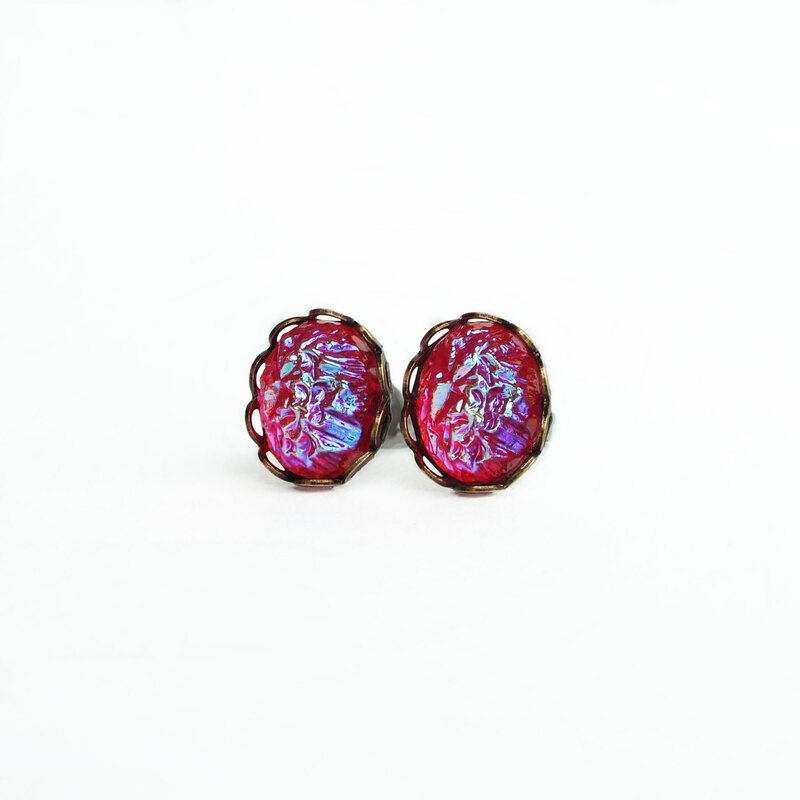 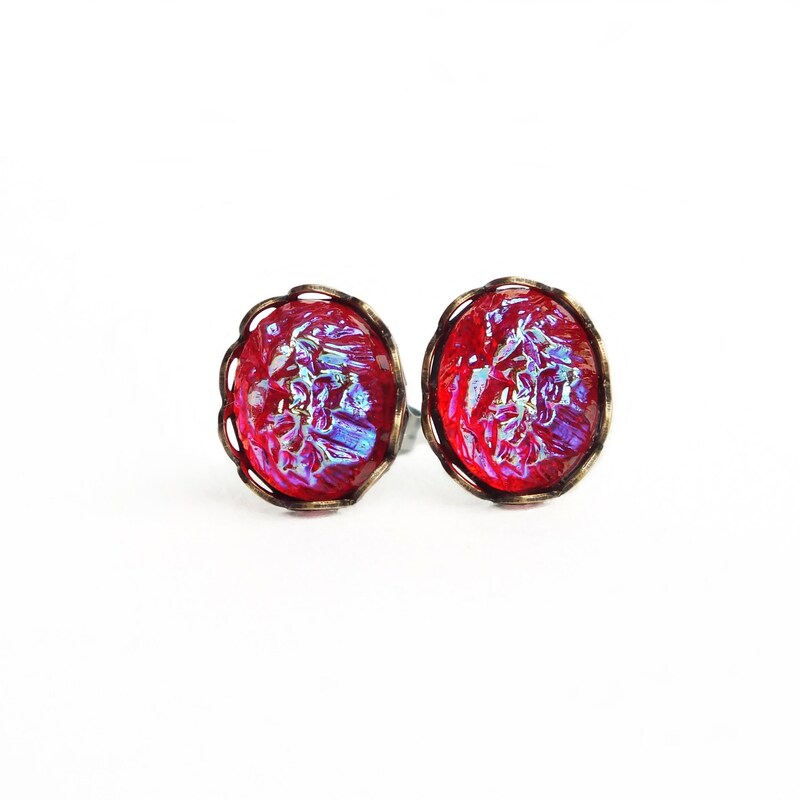 Small studs made with beautiful very rare genuine vintage ruby red glass cabochons with a bumpy 'sugar stone' / druzy style texture and an amazing blue/aqua iridescent coating. 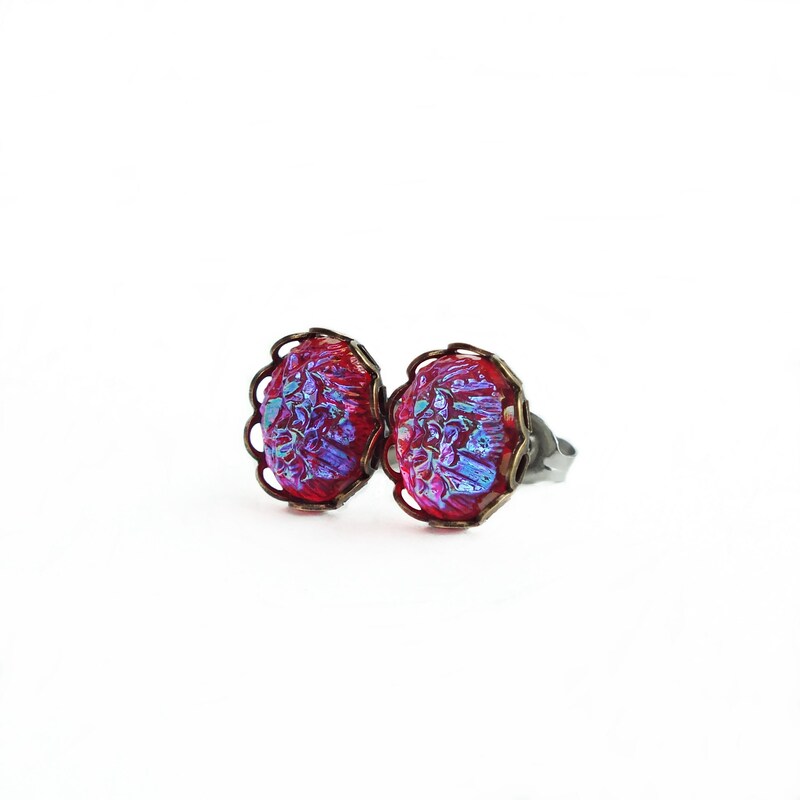 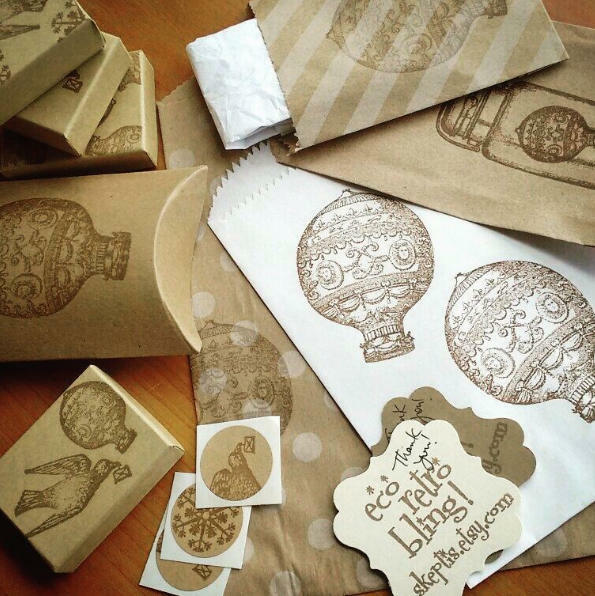 Set in antiqued brass settings secured to hypoallergenic posts.